That looks like a shop job for sure. It's a good one! And the tail might be based off an irl tail, but I wouldn't think so. If that tail were real and made of silicone, it would probably cost 5k $ upward. Looks photoshopped. Might be real! 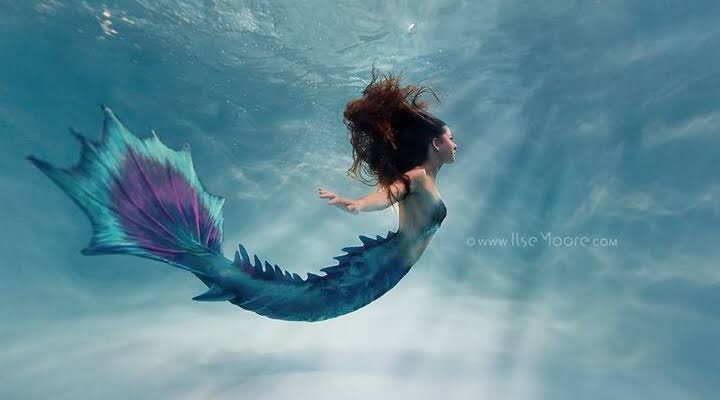 It is definitely a gorgeous real tail, if you follow the water mark she mentions borrowing the tail from mermaid thalia who is on IG ^_^ thalias photos with that tail are flat out amazing. That's my dream fluke!! !